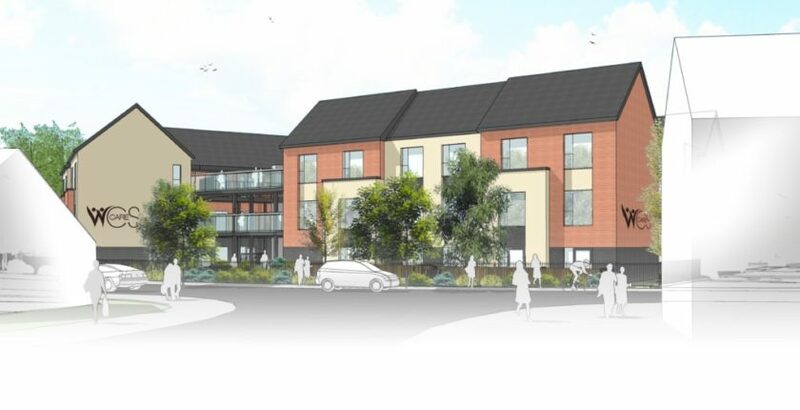 WCS Care has announced that Woodside Care Village will be the name of its new £7.5 million care home in Warwick. The new facility will replace the former Woodside home on Spinney Hill. Woodside Care Village will become a village-style experience for 72 residents, including older people and people living with dementia. It will feature family-scale households for six or seven people with en-suite bedrooms, when it opens in autumn 2019. The state-of-the-art home has been designed for the Warwickshire-based charity by local architects Robothams and will encourage people to spend more time outdoors, which has benefits to health and wellbeing, swapping internal corridors for external walkways. Built by Coventry-based Deeley Construction, Woodside Care Village is set to feature the latest technology that will enhance and integrate into daily life without being intrusive. Linked to a ‘Relatives’ Gateway’, where people can check and interact with their loved one’s care 24-hours a day, smart phone apps will also be connected to mobile care monitoring which means carers can spend more time with residents too.